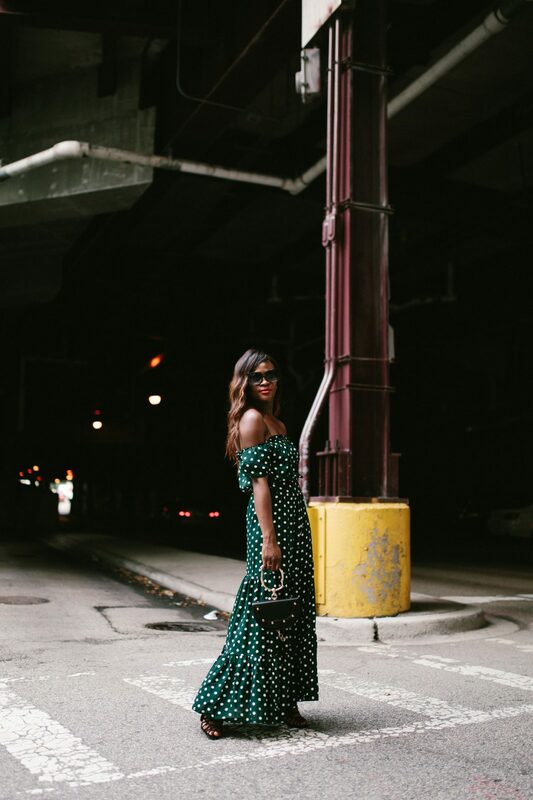 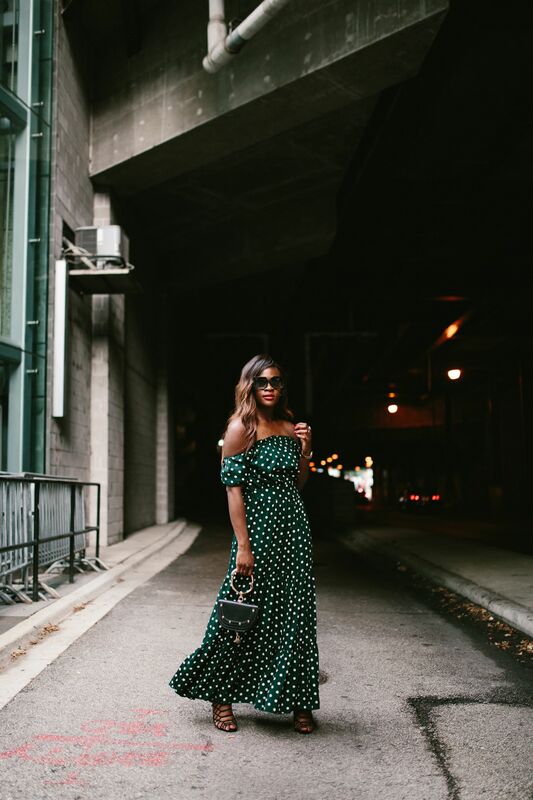 Approaching the last days of summer, it was past due for some maxi dress summer vibes. 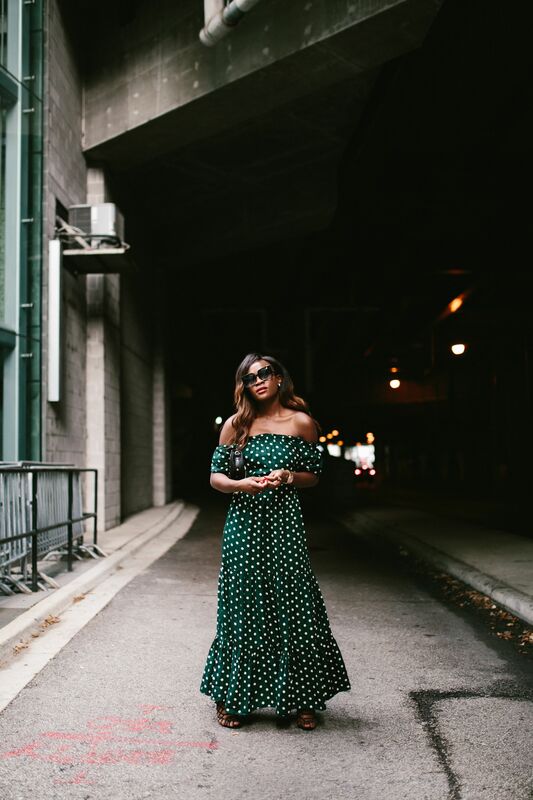 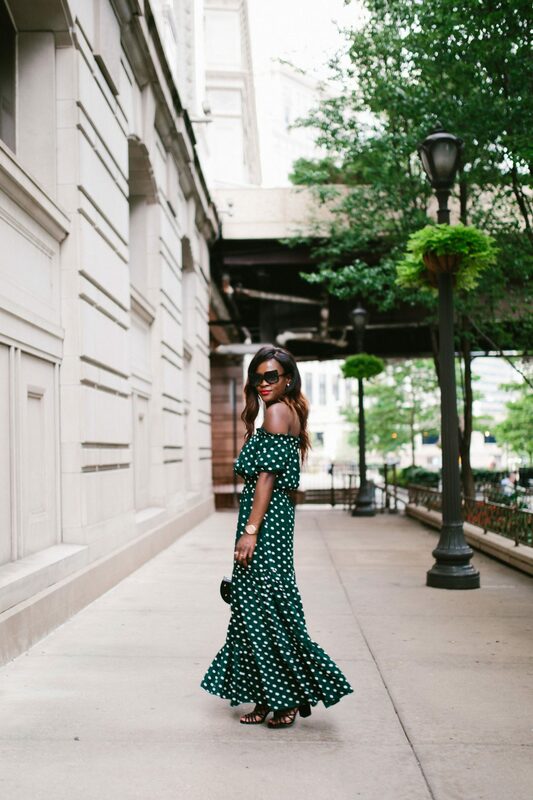 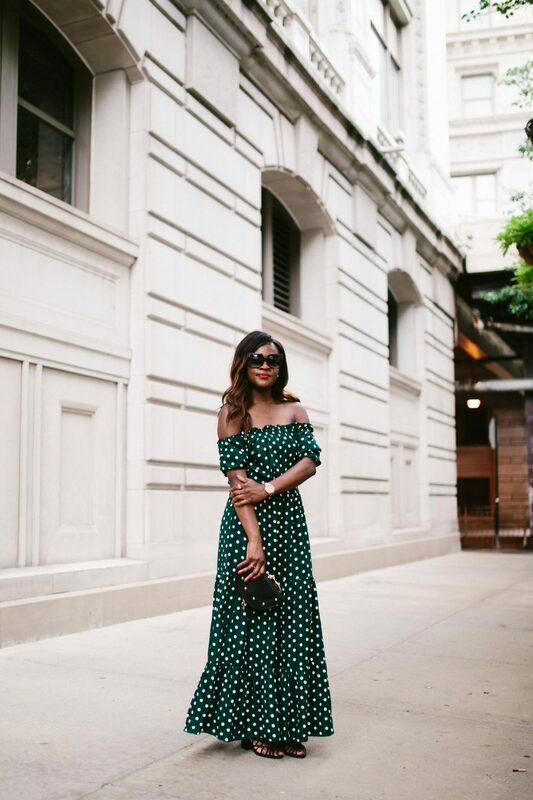 A polka dot dress is never my first choice but there was something quite appealing about this easy green off shoulder number. 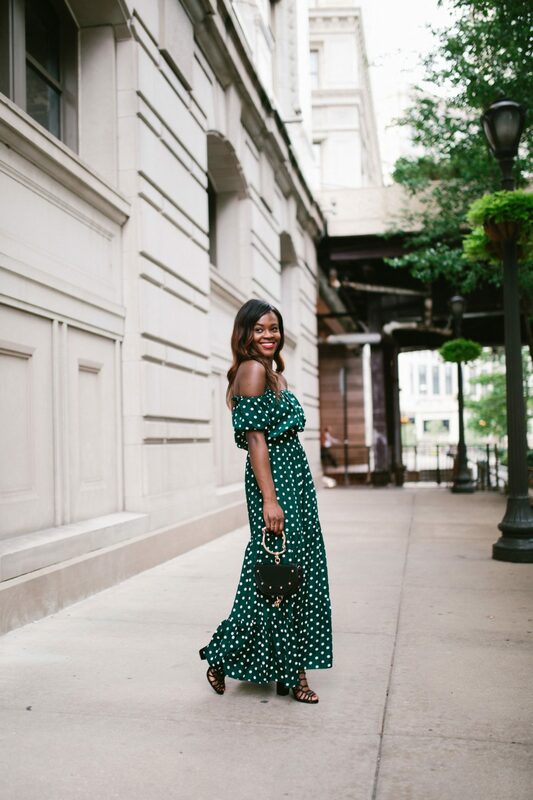 Breezy, eye catching and very affordable at $27 from Shein , it is definitely a new favorite lazy day dress.